This website is for those interested in community development, especially the kind managed using online activity and active communications. So while this page is supposed to be about me, it's really about what I can do for you, the reader. It would be futile if I happily posted blogs and there was no value for the reader. So I hope my posts are read and you take the time to comment or help me learn from your own experiences. Fraser is the creator of the Flightdec Communities concept and is a founding partner. His passions centre on innovation as an enabler, and openness and connectivity as pathways to transform communities. He has been co-owner and partner of Flightdec - “bringing together internet technology with tried and tested marketing and communications.” The main areas of work are in ‘community building’ and ‘capacity building’ especially through the use of new media technologies. He has a particular interest and involvement in the development of the Collective Impact model for building stronger and more cooperative communities. Fraser was originally trained as a graphic designer and creative art director. After graduation, he started his working life in 1977 working for TV One (now TVNZ). In 1981, he began two years work for BBC TV in London where he joined the production teams working on documentary and educational programmes. 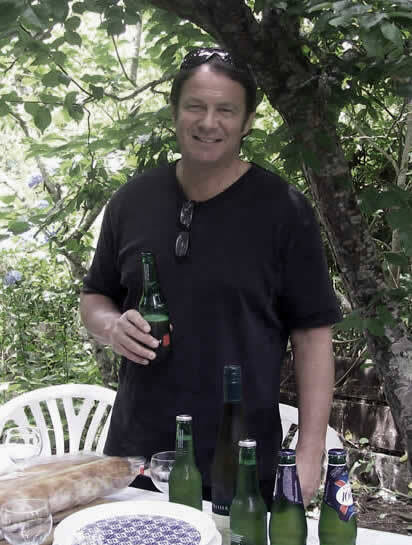 Since then he has variously worked as an art director, managing director and strategist for many of New Zealand’s largest and most successful agencies, including J Walter Thompson, Rialto (HKM), Brock Carson Agency, Grey Advertising and Ogilvy & Mather. Fraser takes a keen interest in community affairs, particularly the arts, sport, education and the not-for-profit sector, and participates in numerous activities – professionally and voluntarily. Fraser is a foundation working group member of Technology Valley; an executive member of the Pacific Exporters' Network (PEN); board member and trustee for the New Zealand Art Show; member of the Fundraising Institute of New Zealand (FINZ); and a Trustee of the XOtaki College Foundation Trust (alumni). He is also past chair of the advisory board for the Centre for Applied Cross-Cultural Research at Victoria University of Wellington (CACR); and past chair of Events Wellington, an event industry membership organisation serving the Wellington region. Original generation time 1.2599 seconds. Cache Loaded in: 0.0004 seconds.